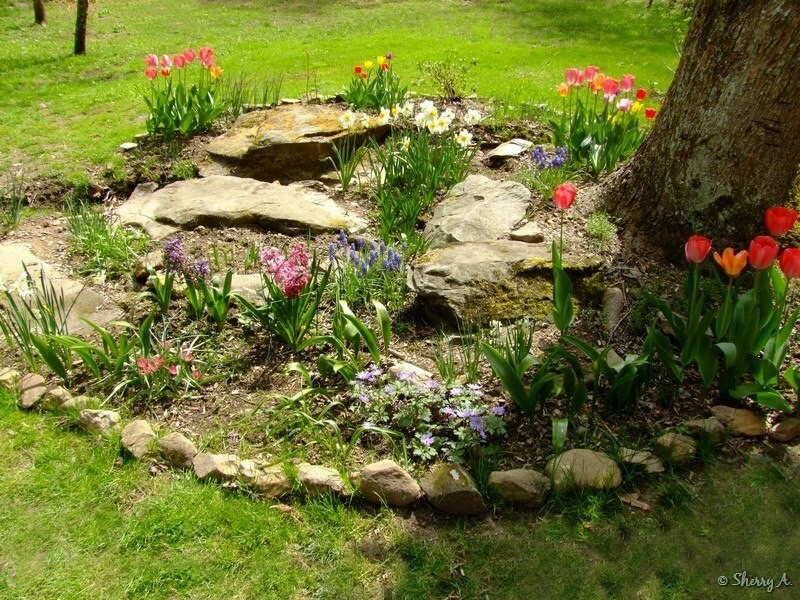 Spring is the perfect time to get out there and do a little bit of work to your flowerbeds. Maybe they’re looking a bit rough or you’ve decided you want to give them a fresh look. Here are a few different ways to spruce up those spring flowerbeds and give your garden a brand new look. If you use wooden timbers, posts, stakes, or other items to outline or decorate your garden, you may need to replace some of them. This is especially true if you’re using untreated wood, which can rot over time. Some wooden items can also get broken or cracked during the cold winter months. You might also want to give them a fresh coat of paint. Another good idea is to put down some new mulch. You’ll want to remove the old mulch and any other debris first, then spread your new layer. Spring is the right time to plant and move some flowers, bushes, and trees. Remember to only move them while they are dormant, not while they are in bloom. Clean up your pots and planters. Give them a good washing. While you’re at it, you might want to wash or sweep off your porch, deck, benches, lawn furniture, etc. Finally, think about adding a few new decorations to your flowerbeds. These can include bird feeders, small statues, gazing balls, pink flamingos…just about anything that catches your eye. Be sure you use items that are weatherproofed, though, or they may get destroyed easily. You might also think about stringing some outdoor lights or lanterns, especially if you’re going to be entertaining outdoors. While you’re sprucing up your flowerbeds, why not spruce up the indoors, too? Let us bring the spring indoors with spring flowers in Kansas City, MO.